There are many people in your home town who need our help. This Christmas you can bring the light and hope of Christmas to someone in need because no child should wake up on Christmas morning without something new under the tree. However, many will simply do without this holiday season unless you help. Your thoughtful gift of hope can help bring a smile to the face of a deserving child through the Angel Tree program and provide food for Christmas dinner to an entire family. Our Angel Tree program provided toys and new clothes to over 3,000 children last year. 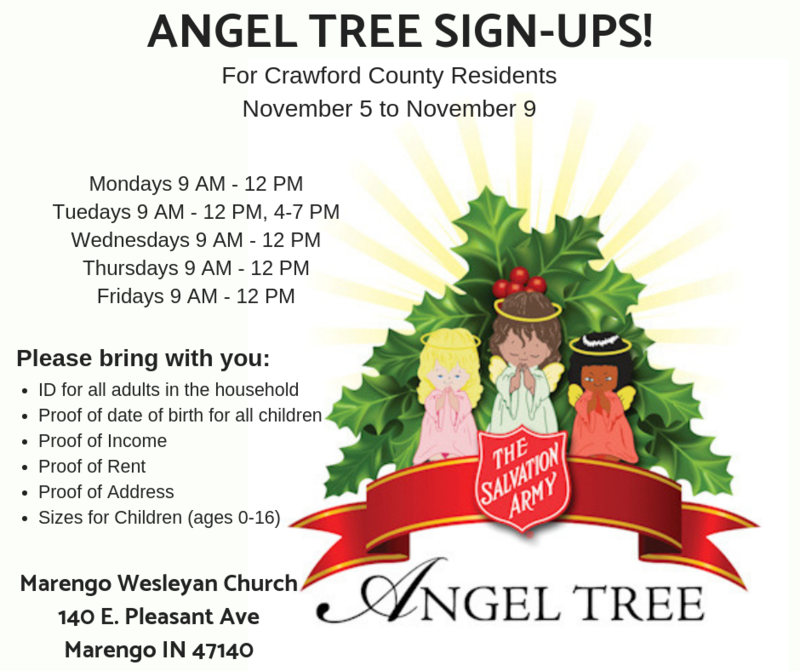 If you would like to donate toys or clothes for the Angel Tree program, please call our office at 812-944-1018 and ask to speak to Roxanne (ext. 2658). See below for information to sign up. Notice the different dates for the different counties. Applications are filled out in person at The Salvation Army, 2300 Green Valley Road, New Albany, IN during the first two weeks in November.